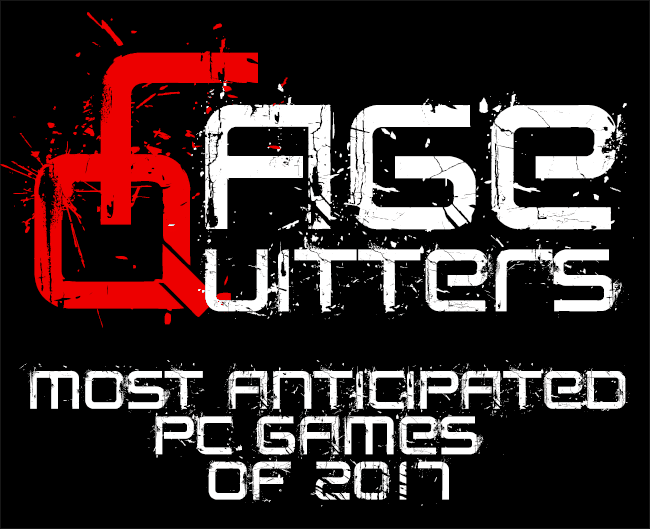 So the New Year is with us and we have a full year ahead to look forward to some of the most anticipated PC games of 2017. Some have experienced delays and been pushed back from an expected 2016 release, whilst others may not see the light of day in 2017 either. Still this won’t stop a great many of us getting excited at what is hopefully around the corner. 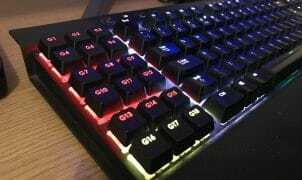 2016 was a great year for PC gamers. Seriously good. Just think back to the buzz and anticipation for the release of some of last year’s top games. You can see from my list that I’m a big First Person Shooter fan with a bit of driving thrown in. Though I won’t let my own personal game genre preferences cloud my judgement of what the most anticipated and hopefully what will be the best PC games of 2017. Red Dead Redemption 2 has already been officially announced for an Autumn 2017 release on Xbox One and PS4 Consoles though it’s still unknown if this will be coming to the PC at all. Sadly the original Red Dead failed to see a PC release. Online petitions from PC gamers demanding the sequel see a release on the PC are all over the internet. Rockstar are still yet to comment but seeing how hugely popular and successful the PC version of Rockstar’s GTA5 has been, surely it’s a massive market that they would be foolish to ignore. The latest in the Mass Effect saga is one of the most anticipated releases and has already seen delays push it into a 2017 release. Will the wait be worth it? We are certainly hoping so. The game is running on the Frostbite engine so we can expect it to look spectacular and promises to deliver a more open world experience than on previous Mass Effect games. Resident Evil 6 was heavily criticised for moving too far away from what the Resident Evil Series was all about…..survival horror, instead swapping it for generic action with heaps of quick-time events and set pieces. Capcom say they have listened to both fans and critics and have taken Resident Evil 7: Biohazard back to its survival horror roots, promising classic scares and surprise. Let’s hope they stick to that promise when the game is released later this month. EA has confirmed that we will see a new Star Wars Battlefront in 2017 following the late 2015 release of the rebooted Star Wars Battlefront game. With the recent releases of new Star Wars movies, it’s safe to assume some big Force Awakens and Rogue One content. Dice have also confirmed that they are developing a full single player campaign for the new game. A mode that was completely absent from the previous game. If the EA Dice developed Battlefield 1 single player campaign is anything to go by, we can expect something pretty special. Tom Clancy’s next open world tactical shooter is almost upon us and following on from the success of The Division, we at Ragequitters and excited. Sure, The Division wasn’t perfect and came under significant criticism due to taking a not insignificant graphics hit in the retail version compared to its E3 2015 demo but after a whole host of free updates it still stands as one of the big successes for Ubisoft. Tom Clancy’s Ghost Recon Wildlands has already been delayed from its intended 2016 release but it’s already shaping up to be an instant classic with stunning visuals and non-linear gameplay spread over a vast open world. This is a game that we expect to be playing a lot at Ragequitters HQ. For Honor is a game that I personally am very excited about. I’ve been signed up for the Multiplayer Beta for what seems like and age but looks like I’ll have to wait for the official release before I get my grubby bloody soaked hands on it! The Ragequitters team are a BIG fan of the hack and slash combat genre and have spent way too many hours dismembering each other in games like Chivalry Medieval Warfare (click here for gameplay). For Honor promises to be a simple to control hand to hand battlefest and while it does have a single player option, the real fun is to be had as part of the multiplayer action, seeing you join 1 of 3 factions, Vikings, Knights and Samurai. Ubisoft has also taken the same approached used in Tom Clancy’s Rainbow Six Siege, by committing to releasing new game updates for free. Created using Unreal Engine 4, Tekken 7 has been hinted to be the final instalment in the Tekken series, over 20 years after it was first seen in the arcades and on the original PlayStation console. Stealing some of the characters and finishing moves from Capcom’s Street Fighter series, Tekken 7 promises to take the graphics quality to a new level with highly detailed characters and dynamic environments. One other big change from previous Tekken games is in the single player story mode. No longer will each character have their very own story, instead employing a single in depth story spanning across all the available characters. A release date is still to be confirmed but it’s expected to drop early 2017. Those of us that have been around for long enough to remember the Quake name cannot forget what the series has brought to the gaming. A Frantic, Hyper-Fast, Finger Cramping, Arena Based, Multiplayer, First Person, Bloody Frag-Fest. Well it’s coming back in the form of a PC exclusive and aims to bring with it new characters, maps, combat and everything that made us love it in years gone by. Little is yet known if this will be a full paid retail release or free-to-play but either way, this is a title that will be on our shopping list. Bethesda released its debut Quake Champions Gameplay Trailer back in August 2016 but little further news has been reported on its development. Taking a big departure from the series roots, Metal Gear Survive is set in the same universe as Metal Gear Solid 5 but this instalment swaps the normal political fiction and espionage for…….zombies. This is something that has the MGS fans and the original MGS creator Hideo Kojami speaking out about. Whilst it might not be for everyone and could alienate those who have been faithful to the previous games, it could breathe something new into franchise. What we do know is that this is not expecting to be a game with a triple A price tag, expecting to cost in the region of $30 at launch. Only time will tell if this game is a success but as fans of the series we have our fingers crossed. The highly anticipated sequel to the original 2011 Dead Island open-world zombie survival game has seen some heavy delays to its initial target release date. In part due to the switch of the game’s developers and to realise the full potential of what they’re trying to achieve with the game and take it to the next level. As fans of the survival horror genre, the original game and what started off as the sequel to it, Dying Light, we can’t wait for what the developer’s vision is for Dead Island 2. Hopefully the wait will be worth it. A cross between class-based shooter Overwatch and classic arena shooters like Unreal Tournament and Quake, LawBreakers is shaping up to be something special. It’s clearly aimed at becoming a hit at eSports with its fast paced, fluid gameplay and tactics playing a big role in your team’s success. LawBreakers has already completed its pre-alpha testing and the developers have promised the beta to be out during 2017 with a final release to follow. So if we see this title in 2017 at all, it’s likely to be at the latter end. One of the granddaddies of the First-Person Shooter genre, Unreal Tournament 4 has been in development for almost 3 years, being first announced in May 2014. UT4 looks to take the franchise back to its roots but has taken a very different approach to its development. UT4 is a crowdfunded game, is built on Unreal Engine 4, Open-Source and free. Not just free-to-play bolstered by pay-to-win micro transactions but free full stop. It’s likely that a form of online marketplace will be made available to allow you to purchase in game goodies but these should be aesthetic additions only. You can play the early release of UT4 right now if you can’t wait for a full release. It’s available to download from the Epic Games website here. Due: Available now as Pre-Alpha. Full release is anyone’s guess. 2017 maybe? Another game which has seen a delay from its initial 2016 release date is the sequel to the massively popular and terrifying survival horror game by Red Barrels Studio, Outlast. Outlast 2 is set in the same universe as the original game though in a different setting and with new characters. Judging by the Outlast 2 demo that was released in 2016, the game promises to deliver incredible graphics, creepy atmospherics, tension and soooo many jump scares. In all honesty I’ve never played the original Outlast game. Not because I’m not interested in it but because I’m a massive fanny and even just watching gameplay videos of it makes me mess myself. 😉 I’m sure the sequel will be an instant hit with those more brave than me. No firm release dates are available for Outlast 2 but it’s pretty safe to expect that it will be out during 2017. So, this is our list of the most anticipated games of 2017. Do you agree with it? What are your most anticipated games of this year? Let us know in the comments. Thanks for reading! Does this list match what you’re most looking forward to this year? Let us know in the comments below. ?